Ann texted me one day a couple months ago asking if I would be up for a session at her family’s favorite place to shop — Target! I couldn’t type back “YES!” fast enough! Her kids know that when they visit the red bullseye that there’s a good chance they’ll get popcorn or cake pops for good behavior. 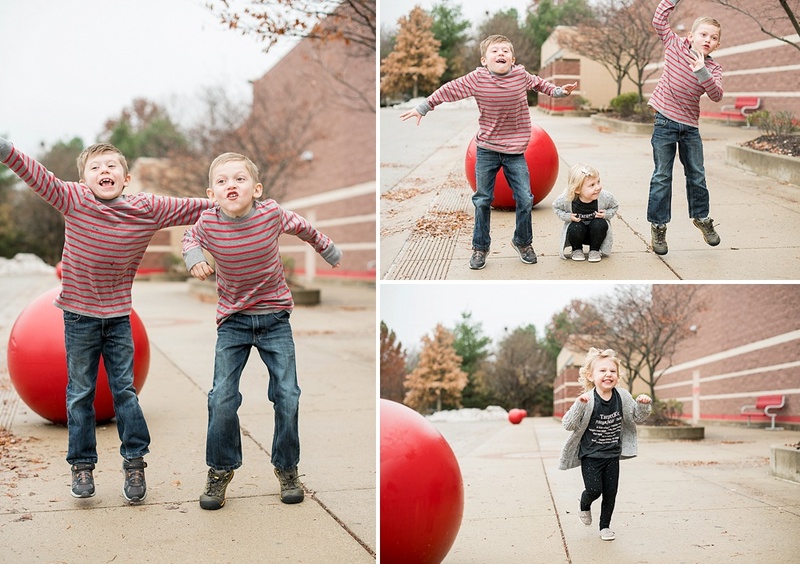 We got to have both during their session (though one of the twins popped a whole cake pop in his mouth as soon as it came out of the case… not naming names!). 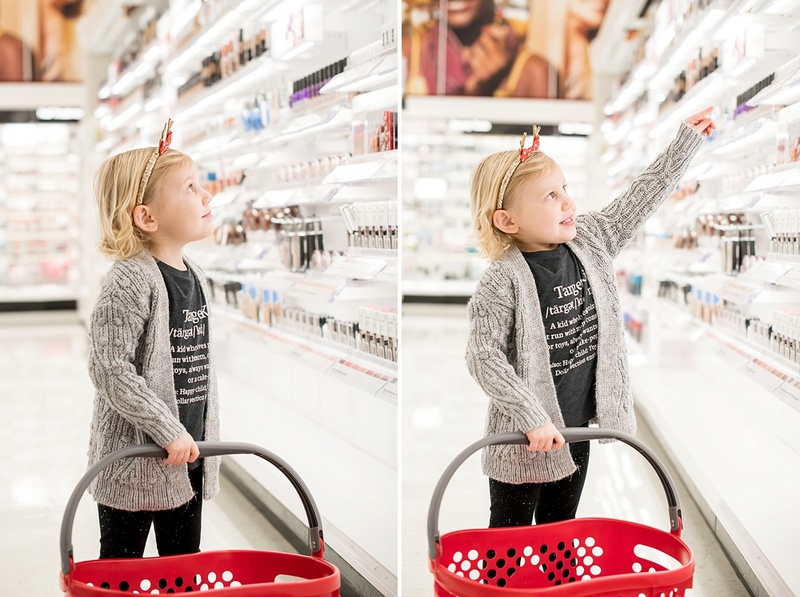 The kiddos love visiting the Dollar Spot, the toy aisle (duh! ), and LOVE looking at all the sparkly light-up holiday decorations. There was even a fun kids’ tent set up, so we made sure to use that, along with some very Target-esque lights throughout the store. I snuck in splashes of red whenever I could too — the red basket, the red cart (of course! ), and the red walls. And how cute are the girls’ Target tees? All in all, I think we successfully terrorized a local Target well enough for an hour. 😂😂😂 We only had a couple minor meltdowns, and I got some fantastic, genuine smiles in a good portion of the photos. Ann will treasure these for a long time, I’m sure!